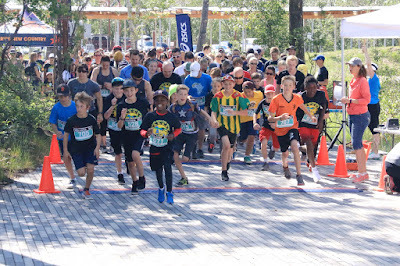 May 27-28 was Run for Water’s tenth annual event, and the second year Food for the Hungry (FH) was a proud charity partner. It was easily the warmest weekend yet this calendar year, but the sunshine was a welcome sight for nearly 4,000 joggers and walkers. 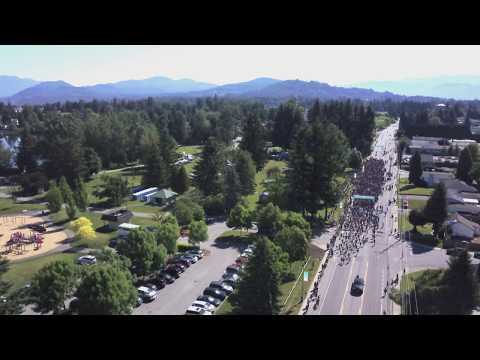 The kick-off was Saturday, May 27, on Sumas Mountain where 250 joggers gathered to face the challenge of the Run for Water Trail Run, the second year this was an option. Most of the joggers signed up for the 10K run, but a handful of the toughest of the running breed - let’s call them ‘crazy people’ - opted for the 25K or 50K Trail Runs. Running that distance for seven to 10 hours, over rough terrain rife with roots, loose stones, and a cumulative 3,000 foot elevation climb - that takes a certain amount of dedication and passion for clean water that makes Run for Water such a splash success. Sunday, May 28, was the main event. 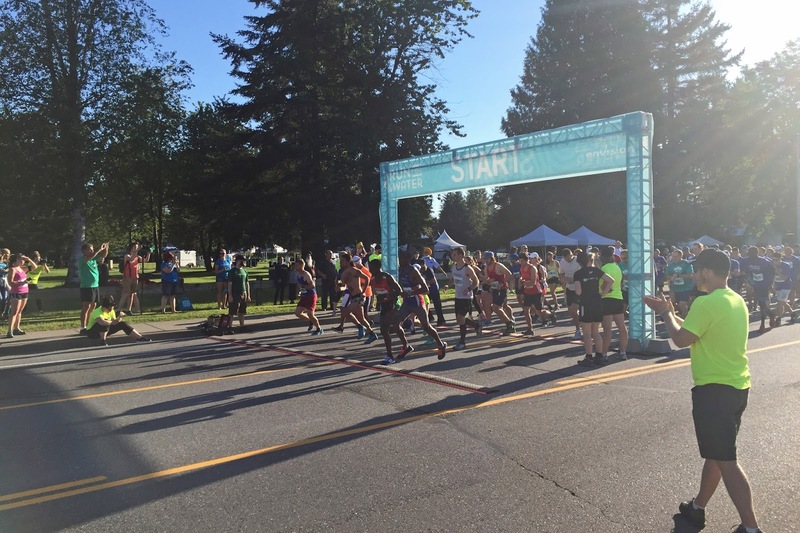 Thousands gathered in Mill Lake park, Abbotsford, throughout the morning to hit the pavement on a half marathon, a 10K run, then a 5K Fun Run. Pump-up music pounded out warm-up activities. Individuals, family teams, and school groups sporting grey or black Run for Water athletic gear (accented with all manner of fluorescent gear, of course) marched through the festival-like grounds. After finishing their run, participants lined up for complimentary ice cream, popcorn, and even Starbucks - a sweet treat for a job-well-run. An additional 17,000 students engaged the cause prior to the weekend, raising money and awareness in their own way on walks that the schools organized. We applaud the many people who ran, walked, volunteered, donated, and cheered for the event. This year, the community of Abbotsford rallied in a special way around Letisha Reimer’s family and their desire to dedicate wells in honour of her passion to give access to clean water in Ethiopia. A record $450,000 was raised over the weekend to dig wells and provide clean water to thousands of families in Ethiopia. A portion of those funds will help communities in Dengali, Ethiopia who partner with FH. Lacking access to clean water and other sanitation solutions is a debilitating problem for families in those rural, farming communities. Many children suffer sickness from drinking dirty water that keeps them from school, or must spend their days walking to and from distant water sources. But that is all going to change now! With the support of thousands of Run for Water enthusiasts, Dengali, Ethiopia is going to get clean water, and all the benefits that go with it. The fun continues in Calgary, AB. Run for Water Calgary will host a 10K, 5K, and kids' Fun Run on Saturday, June 10 at St. Patick's Island. The route will take participants through the East Village of downtown Calgary. For more information, visit Run for Water Calgary.